If you could pack Christmas into a bottle, you might come close to what it tastes like. What It Is: Pimento dram has nothing to do with the little red peppers stuffed inside martini olives. It has everything to do with the pimento berry, also known as the allspice berry. 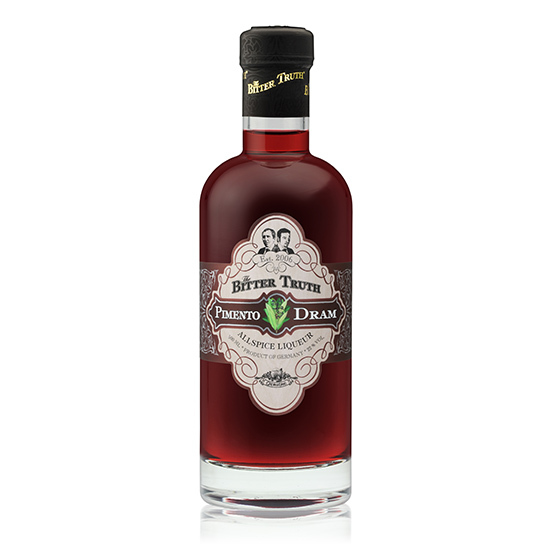 The Bitter Truth’s spicy-sweet version of the liqueur is based on a traditional Jamaican liqueur, which all but went extinct a few decades ago. It’s been making a comeback recently, thanks to the resurgence of tiki drinks. Pimento dram is made by macerating dried allspice berries in Jamaican rum, then sweetening the mix with sugar and cutting it with some water. What It’s Like: Allspice is called allspice for a reason—it tastes like a lot of spices. The Bitter Truth’s Pimento Dram is full of warming winter spice flavors like nutmeg and cinnamon. It’s sweet—but not overly so—with a nice tannic finish. If you could pack Christmas into a bottle, you might come close to what it tastes like. How to Drink It: While it’s perfectly acceptable to drink pimento dram straight as a digestif, it is best used in tiki-inspired cocktails like the Louanalao or Trader Vic’s version of Navy Grog. It is also a great compliment to bourbon or Scotch in cocktails like this spicy take on a Rob Roy.